You’re probably familiar with how tattooing works: coloured ink is deposited via needles into the dermal layer of skin. But you’re probably less familiar with the process for having it removed: laser therapy. Lasers work by generating a beam of light of a specific frequency. The intensity of the beam can be varied, as can the frequency – which changes the colour of the laser – and the duration of the light pulse. The laser beam will release energy selectively when it hits a target of a specific colour. Lasers are used to break down ink particles so that they can then be removed by the cells of the immune system. If the intensity of the laser energy is too high, there will be collateral damage to the surrounding skin that will produce a scar. If the intensity is too low the ink particles will not be disrupted. The pulse duration is also important. When the tattoo pigment absorbs the laser energy it releases heat as the particle explodes. Rather than fire a single beam at the target, laser tattoo removal works best when multiple high-energy, picosecond or nanosecond pulses are fired repeatedly at the target. This allows any heat generated in the pigment explosion to dissipate before the next pulse hits. It reduces pain, and reduces scarring. Repeat treatments are usually spaced six or seven weeks apart. There are several different types of laser. Some lasers have a fixed frequency, while others are tuneable. Each will remove a different colour based on the frequency of light generated. 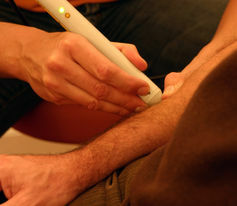 Person-to-person variation in skin colour and thickness and tattoo-to-tattoo variation in pigments, technique and depth mean it’s impossible to predict how much laser is required to remove a particular tattoo. Trained operators err on the side of caution, preferring to under-treat the tattoo and risk the need to repeat the treatment rather than over-treat and risk causing permanent scarring. Treatments are usually be done without local anaesthetic, and are said to be only marginally more painful than having the tattoo. Devices to cool the skin prior to laser treatment reduce the discomfort. Multi-coloured tattoos often require multiple lasers or a single laser with a tuneable frequency. Each treatment takes five to 30 minutes, depending on the size of the tattoo. 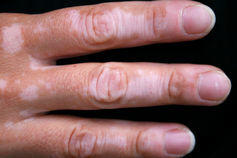 Following treatment, the skin will immediately whiten and swell; this may be followed by weeping of the skin a few hours later and the formation of a scab. This should heal after seven to ten days. The pigment will slowly fade over three to six weeks as the fractured ink particles are removed by the cells of the immune system. Repeat treatments are usually spaced six or seven weeks apart. Laser therapy can result in skin prigment irregularity. Most tattoos require six to 12 treatments to fade. But it’s important to note that complete tattoo removal without scarring is rare. There will usually be a subtle silhouette indicating where the tattoo once was. The skin also contains coloured structures that also absorb laser light, so complications are possible. Pigment irregularity – where skin looks blotchy and uneven – is the most frequent complication, especially in people of colour. Laser tattoo removal is best done in well-equipped centres with a range of laser devices that mirror the colour complexity of the tattoo and best performed by trained technicians who understand the complexity of laser science and skin biology. Those working alongside dermatologists or plastic surgeons are possibly best placed to do this type of medical procedure. Hey Buddy!, I found this information for you: "How are tattoos removed?". Here is the website link: https://www.reversatatt.com/2016/11/how-are-tattoos-removed/. Thank you.